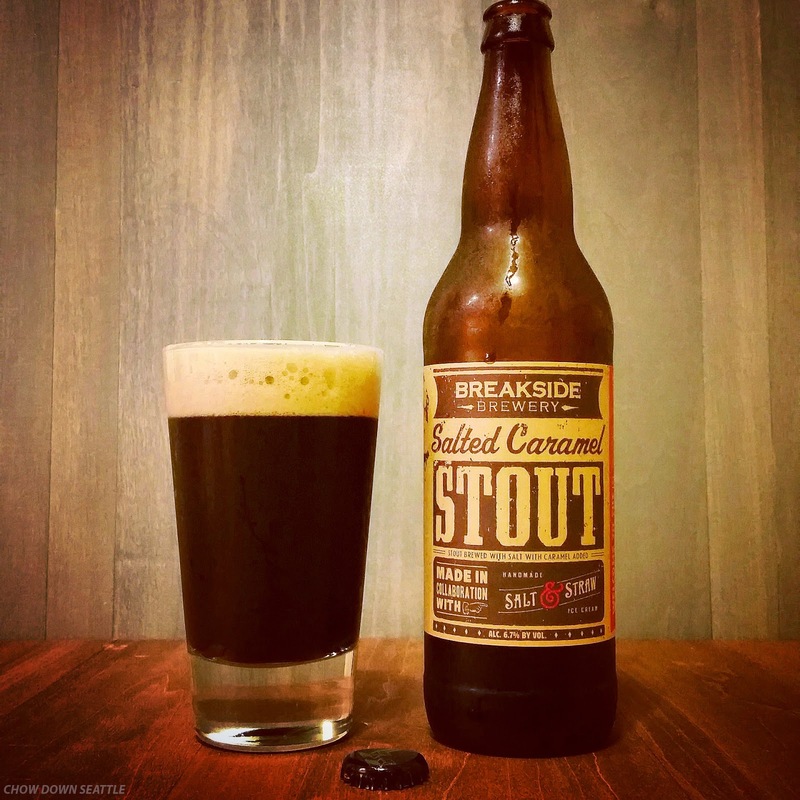 Today I tried Portland, Oregon's Breakside Brewery's Salted Caramel Stout. This Stout was made in collaboration with Salt and Straw in Portland. This is a mighty good Stout! It has a subtle caramel taste with a hint of chocolate and coffee. It has a great aroma with a dark color and good head. The taste is nice and smooth, and it's not sweet as expected. This Stout was voted one of the Top 25 Beers of 2014 by Draft Magazine. I purchased this beer at Mammoth in Eastlake. I'll definitely be buying some more of this! The beer and salad caramel is the actual desire for accurate using. The specified salad caramel is the best one for the usage of paper writing service. The same dishes attract many one for accurate working in style. The usage of such things make people happier one.